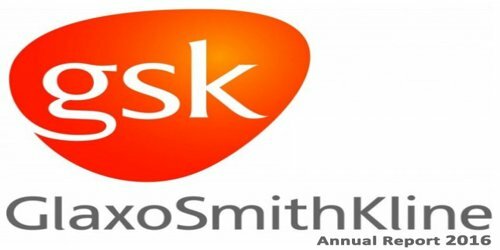 It is a broadly described annual report of GlaxoSmithKline Bangladesh Limited in the year of 2016. In 2016, Fast Moving Consumer Goods (FMCG) market, valued at BDT 243 bn grew by 11.6%. Major contributions came from Non-food Categories (47% of FMCG) which grew in value by 13.7%, while Food category (51% of FMCG) grew only in single digit by 9.4%. Health Food Drinks (HFD) category valued at BDT 3.4bn showed a growth of 7.9% in value, and 13.8% in terms of volume in 2016. Net Sales of the Company was BDT 6,284mn, against BDT 6,698mn of last year. This represents a 6.19% decline from last year. Overall profits after tax declined by 22.44%, standing at BDT 645mn. As a result EPS (Earnings per Share) has decreased from BDT 68.99 in 2015 to BDT 53.51 for the reported year. During the year, the Company has paid a total of BDT 200,000 as Board meeting attendance fees. The dividends for 2015 paid in 2016 were Taka. 662,556 (Taka’000) (Tk.55 per share). A dividend in respect of 2016 of Tk. 50 per share, amounting to a total dividend of Taka 602,332 (Taka’000) is to be proposed at the Annual General Meeting on 20 April 2017. As per the last audited balance sheet of GlaxoSmithKline Bangladesh Limited Pension Fund as of 31 December 2016, the total fund stands at Tk. 455,472 (Tk. ‘000) (2015: Tk. 395,666) (Tk.’000) represented by assets invested mainly in Treasury Bills. GSK Bangladesh contributes positively to socio-economic development by empowering employees through the payment of salaries and allowances; by paying an attractive and consistent dividend to the shareholders; by assisting the regulatory authorities in paying taxes & duties.